* Solo has been popping up in random places… Ah – I get to refer to myself in third person. 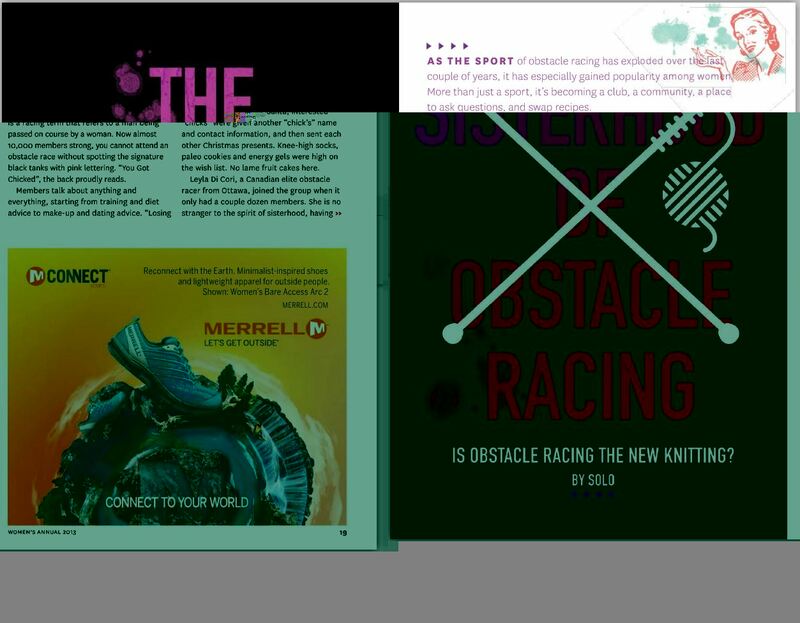 My race recap of Toronto’s Sprint Tough Mudder is published on Obstacle Racing Magazine USA’s website. 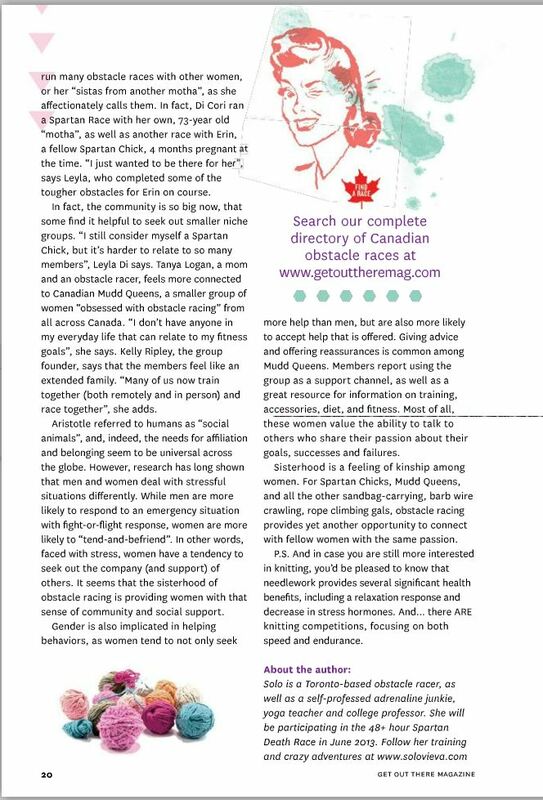 My article “In Pursuit of DNF” is published in May/June issue of Get Out There magazine. 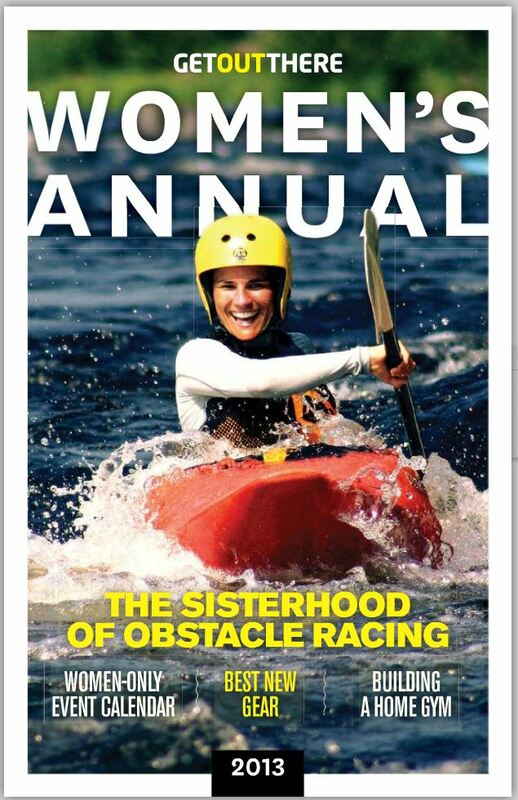 My article on the sisterhood of obstacle racing made it to the cover of Get Out There Women’s Annual Issue. Read the article here or see below. “I’m a woman. 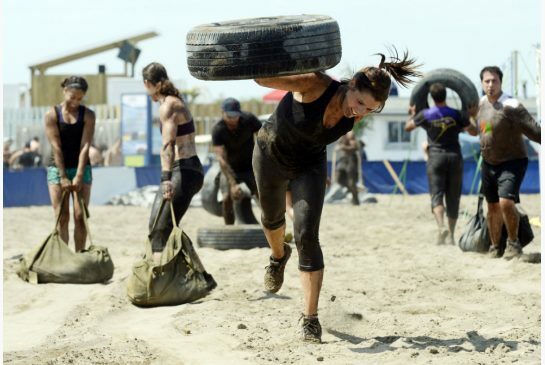 I can do pull-ups.” is highlighted as one of the must read posts from 2012 in the world of obstacle racing blogs at On My Way To Sparta blog. 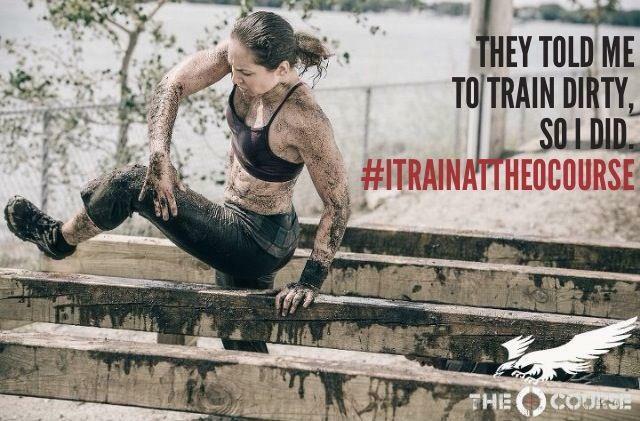 “Extreme obstacle courses running at the Docks train new recruits for real deal” in Toronto Star. Can you spot Solo in the picture below? 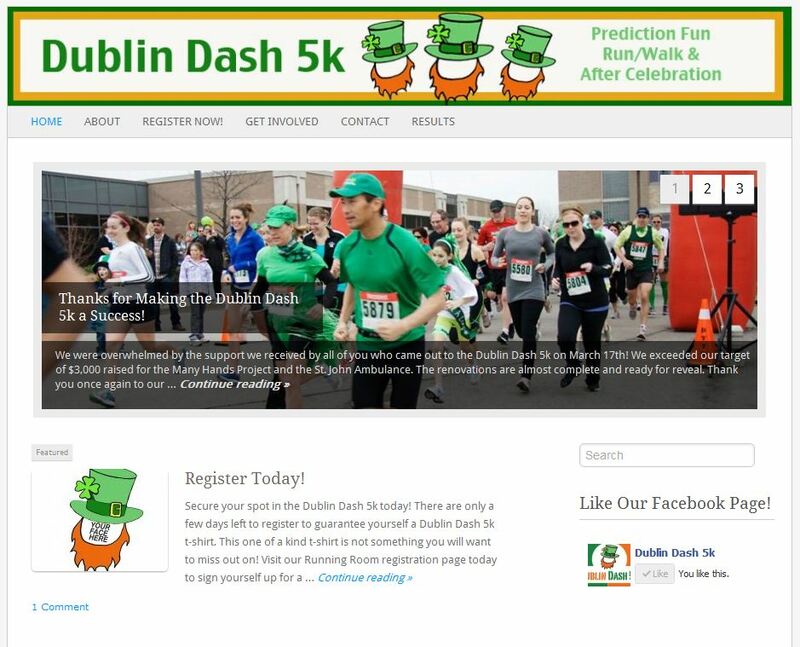 Dublin Dash 5k webpage – can you see Solo taking off?